Sarah Chauncey Woolsey was born in Cleveland, Ohio, on January 29, 1835, into a family related not only to Jonathan Edwards and Governor Winthrop, but also to three presidents of Yale: Sarah's great-uncle, Timothy Dwight; her uncle, Theodore Dwight Woolsey; and her cousin, Timothy Dwight. She was educated at a private school in Cleveland and a boarding school in New Hampshire, then, at twenty, moved to New Haven, Connecticut, and lived there fifteen years. She never married. From 1870-1872, Woolsey went abroad, then settled in Newport, Rhode Island, with her family until her death in 1905. 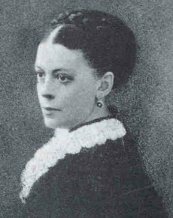 In 1871, Sarah Woolsey began writing for periodicals under the pseudonym "Susan Coolidge." In addition to her magazine articles, she edited and translated several works and collections of letters, composed poetry, and wrote children's books. She created one five-volume series, "What Katy Did," published from 1873 to 1891, and wrote at least sixteen other children's books, including several collections of short stories, such as Barberry Bush (1893), and one volume of verse for young readers. While several of her works were apparently well-liked and often reprinted, none survived as long as the "Katy" books, which were very popular in the United States through the 1920s and are still popular in Great Britain. A 1990s reading study in Great Britain found the "What Katy Did" series ranked among the ten most popular reading choices for 12-year-old girls. The first volumes of the series remain in print in both countries.